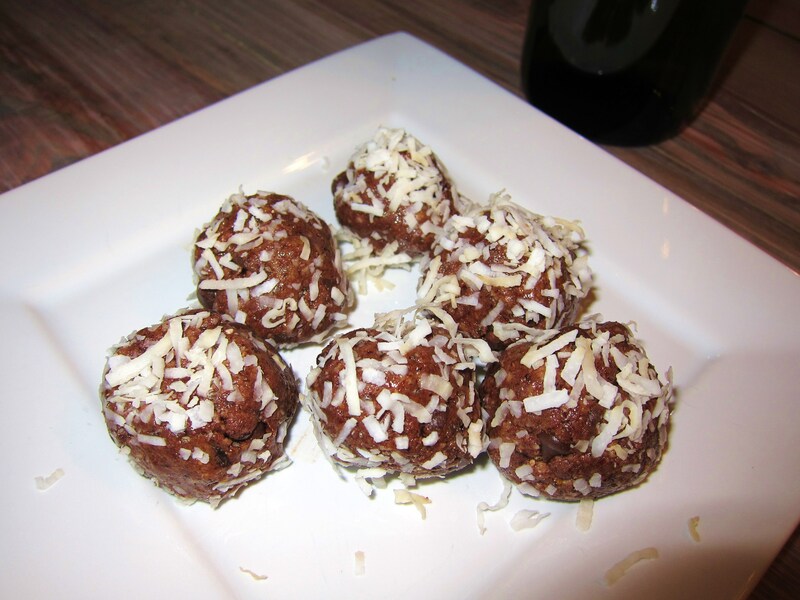 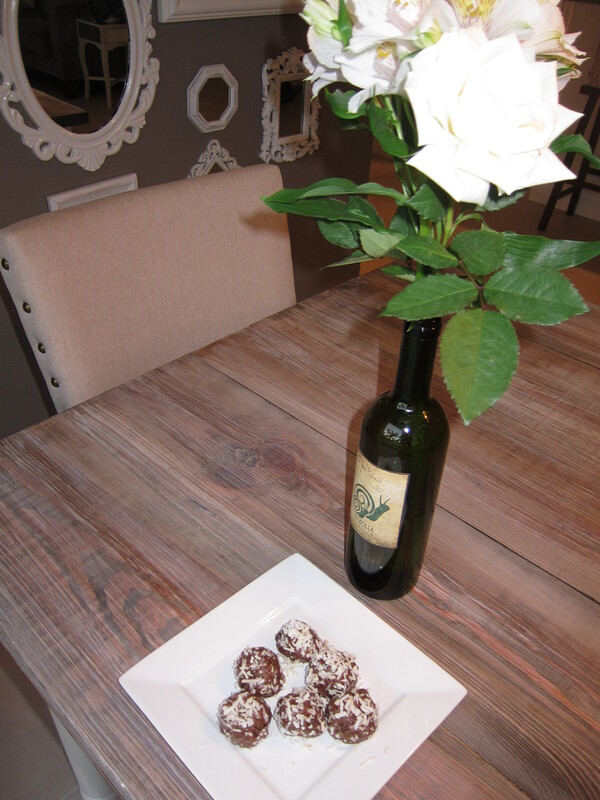 Vegan, raw, almond butter protein balls that will rock your world! 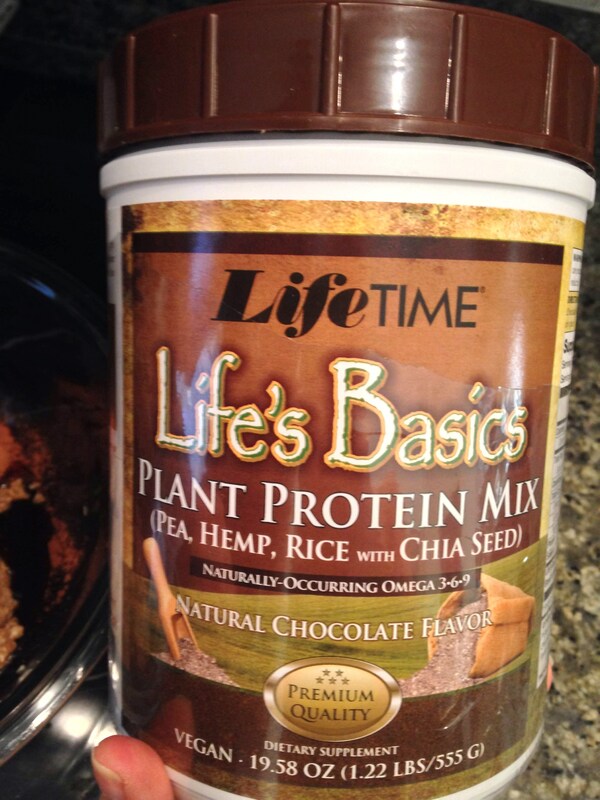 2 scoops of chocolate Life’s Basics Plant Protein powder. 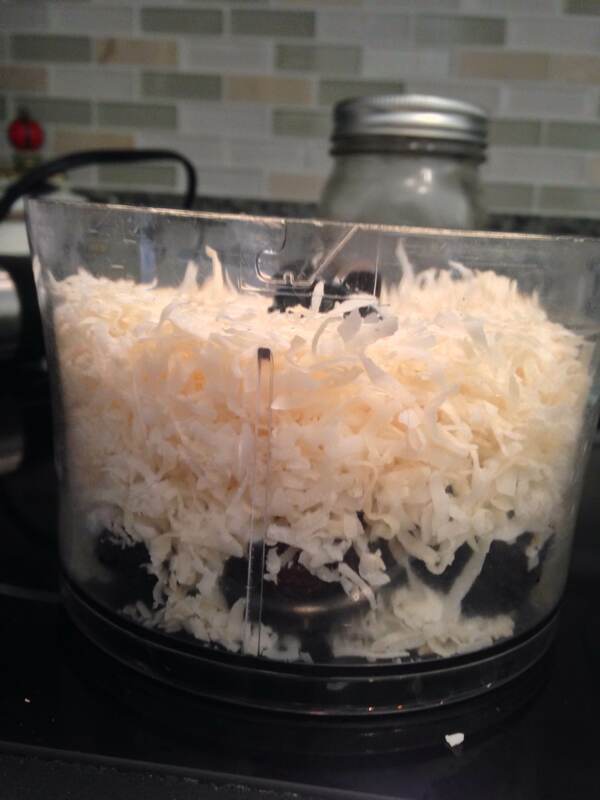 Put the figs, shredded coconut, and almond butter in a food processor first. 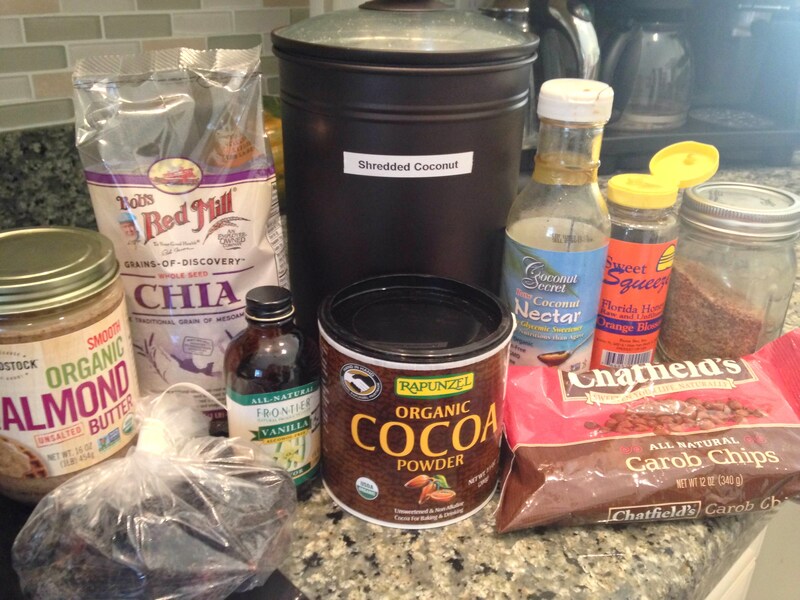 Let all the ingredients blend until smooth. 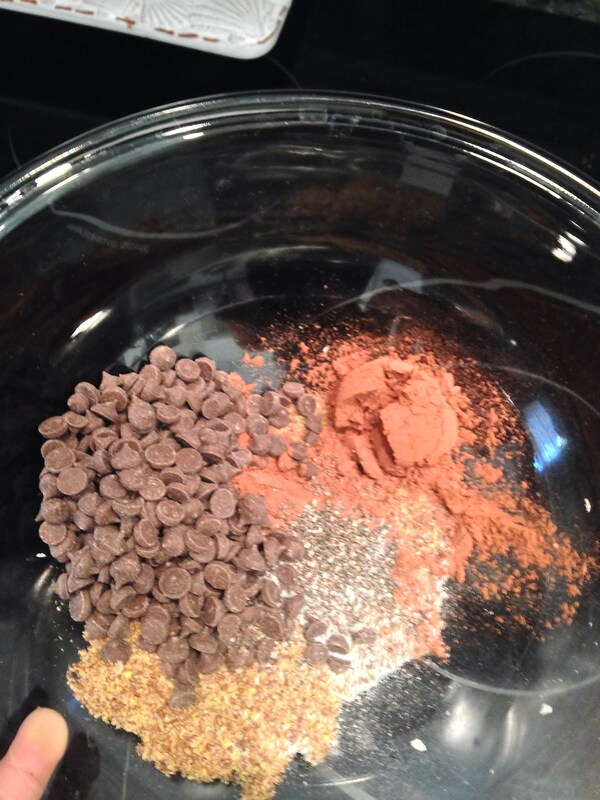 In another bowl, add all of the other dry ingredients. 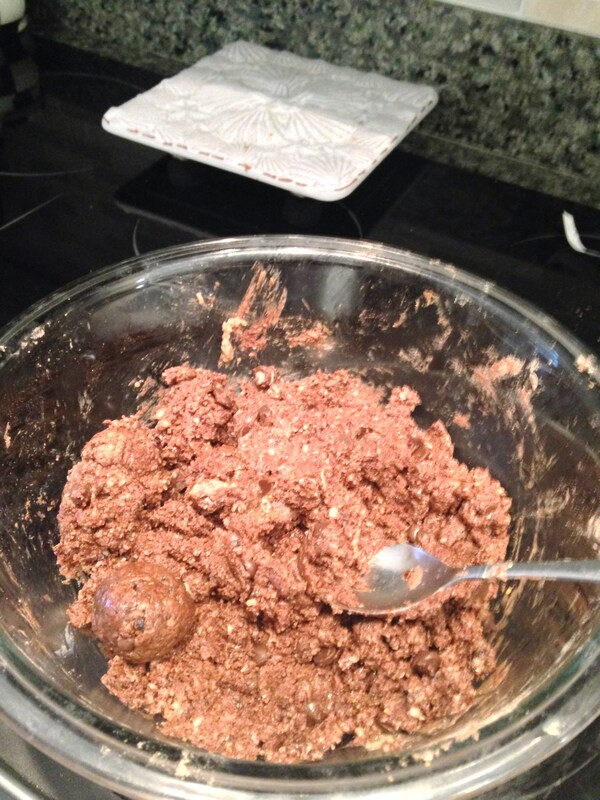 Then, pour the moist mixture into the bowl with all the dry ingredients. 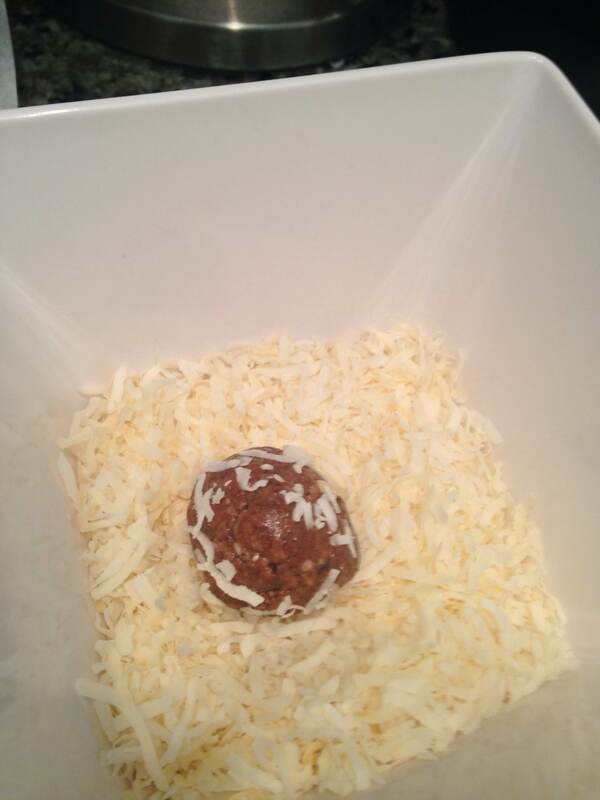 Form little circular shapes with the mixture, and then roll in a bowl of shredded coconut. 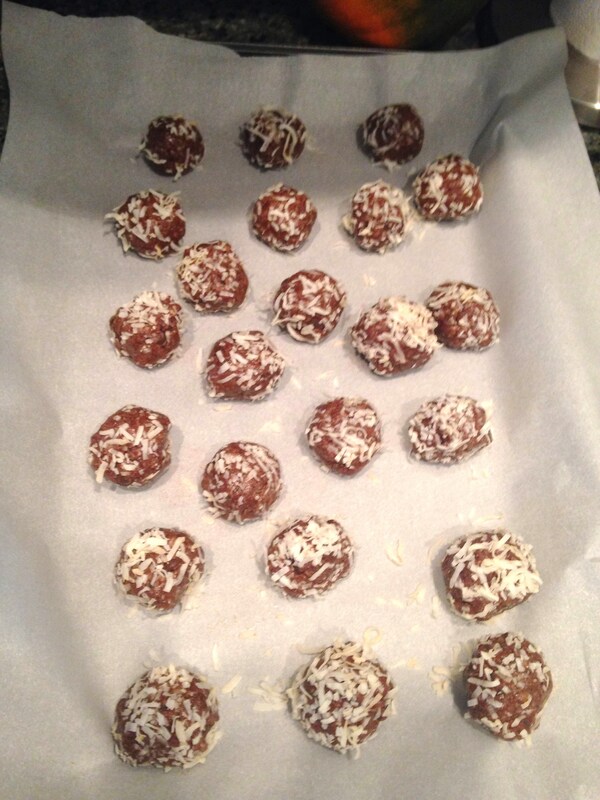 Lay the protein balls onto a cookie sheet with parchment paper.